It’s December which means I’m updating the list of magazine submissions windows. 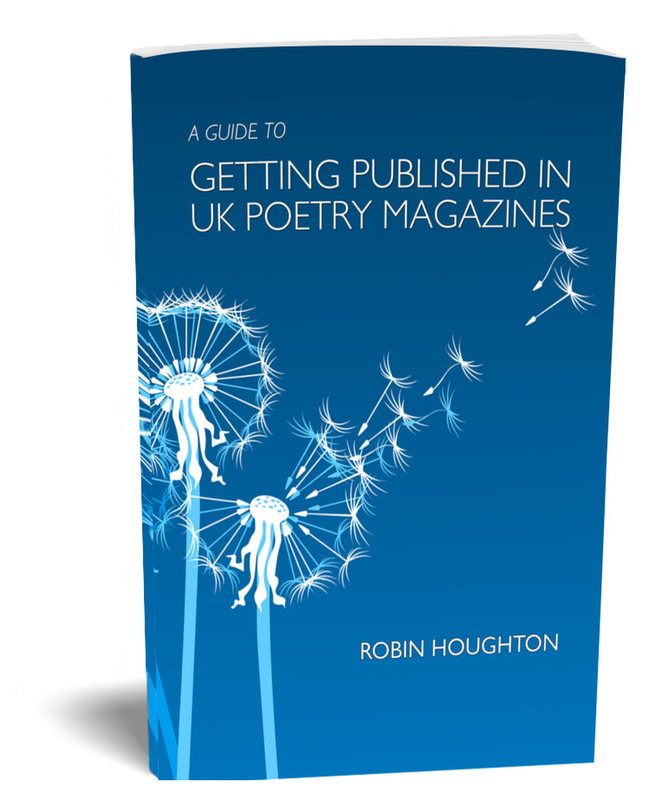 If you ordered A Guide to Getting Published in UK Poetry Magazines then you should have received a version of the list which I updated last month (if you didn’t get the list then I apologise – but this latest version should be coming to you today or tomorrow). The list now contains detail of over 80 journals. *I would draw your attention to Popshot which closes tomorrow 4th December, also Magma closing on the 8th and Modern Poetry in Translation on 14th. Also, Ink Sweat & Tears is once again running a ‘Twelve Days of Christmas’ call for submissions which is open NOW but closing on 9th December. A new magazine launching in the Spring, Finished Creatures, opens for submissions next Monday 10th December. As ever, I’m grateful to people for telling me about amends, additions and so forth. I’ll be sending it out shortly, as a PDF with clickable links to the submissions pages of each magazine’s website. This is a free service. If you’re not on the emailing list for quarterly updates and would like to be, either tell me in the comments below or drop me a line – robin at robinhoughtonpoetry dot co dot uk. A great companion to the quarterly updated list. The first print run sold out in ten days! It’s now back in stock, so visit this page to read all about it, including testimonials, and buy for £5 (postage free within in the UK). Please add me to the mailing list for the quarterly updates. I’d like to be added to the emailing list for quarterly updates. I’ve just ordered the print edition and would like to be added to the emailed updates list. Many thanks. Thanks Naomi! I’ve emailed you the PDF and the book is in the post. Happy New Year! Happy New Year! Please could you add me to the list for quarterly updates. Having found out about your ‘pamphlet’, as you are calling it, through ‘The Poetry Shed’ I have just ordered your guide – thank you so much for creating it. Having written since 12 years old, I’ve never even attempted a submission. Your candid approach to the dreaded (mine) ‘rejection’ created a ‘get over yourself’ response in myself, & I thought to let you know : because your openness, opened possibility, in a complete stranger, & one totally at remove from you in physical space. I feel the gift of your offering, out to the ether, that random people, such as myself, receive, is honoured by the gift of response. So thank you & may the knowledge of the positive effect of your sharing, bring a reciprocal smile for thee! Hi Kerry-Ann! Thanks for your lovely comment which has indeed brought a small to my face! The book is on its way, thank you for ordering it and I wish you the best of luck with your submissions. Thanks Alex, it’s on its way. Grazie e buon anno anche a te! I would like the quarterly updates please. Hi Moira, of course – I’ve added you to the list and will send you the current version. Please could you add me to the list for quarterly updates. I have just ordered your pamphlet. Can’t remember if I’ve already requested quarterly updates of the fantastically helpful spreadsheet. The Saison Poetry Library should take a leaf or two out of this website’s page . . .